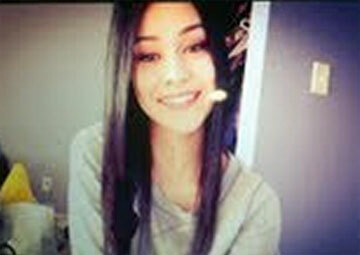 There has been a break in the case of missing 15 year old Sierra LaMar. Authorities have arrested 21 year old Antolin Garcia-Torres on suspicion of murder and kidnapping in the disappearance of Sierra LaMar. According to the police press conference, they stated that they had a lot of physical evidence in the case that connects Antolin Garcia-Torres to the disappearance of Sierra LaMar. The Northern California teen Sierra LaMar has been missing since March 16, 2012 when she was last seen at 6 AM leaving for school. Authorities have arrested a man in the kidnapping and death of a Northern California teenager whose disappearance more than two months ago has prompted hundreds of volunteers to turn out for organized searches. Antolin Garcia-Torres was arrested Monday evening at a Safeway store in Morgan Hill, Santa Clara County Sheriff Laurie Smith said at a late Monday news conference. 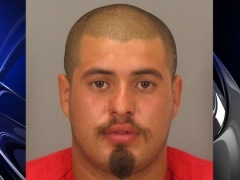 “We believe we have probable cause that he committed the kidnapping and murder of Sierra LaMar,” she said. Earlier this month, investigators located a red Volkswagen Jetta that they said may have been connected to Sierra Lemar’s abduction. Surveillance cameras and witnesses put the car near the area where authorities believed the 15 year old disappeared. According to reports, Antolin Garcia-Torres is the owner of the red Jetta in connection with this case of missing Sierra LaMar. DNA evidense was found that links Torres to clothing found in her backpack. Garcia-Torres, a resident of nearby San Martin, is the owner of the red Jetta that authorities seized on May 8th in connection with the case. A source tells KTVU authorities found DNA evidence that links Garcia-Torres to clothing found in the missing girl’s backpack, which was recovered after she vanished. Authorities told KTVU Garcia-Torres had been under 24-hour surveillance since he was identified as a possible suspect at both his home and at the Safeway store. A source tells the station Garcia-Torres was questioned for over two hours Monday. RAW VIDEO: Sierra La Mar suspect Antolin Garcia-Torres leaves…. For more updates, discuss the case and review others analyzing the case, go to Scared Monkeys Missing Persons forum: Sierra LaMar. 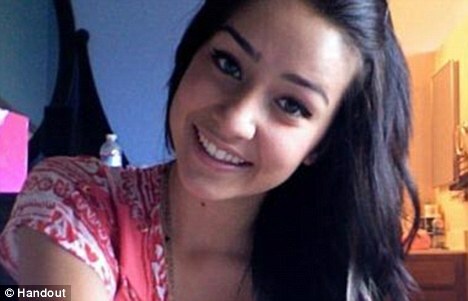 15 year old Sierra LaMar has been missing since March 16, 2012 when she was last seen leaving her home in the morning to get the bus to go to school. She has never been seen or heard from since.The search for the missing Morgan Hill, CA teen has now gone to the water. Divers searched the Chesbro and Uvas reservoirs near the home of missing Sierra LaMar as investigators analyze underwater sonar images taken earlier this week. Nearly a month after her disappearance, the search for missing teen Sierra LaMar has moved underwater. Divers searched two reservoirs near the teen’s Morgan Hill, Calif., home but did not find any signs of the missing cheerleader. Investigators plan to analyze underwater sonar images taken earlier this week. Despite the severe weather much of the state experienced on Friday, volunteers plan to spend the weekend searching for LaMar, 15, who disappeared on March 16 while on the way to catch her school bus. 15 year old Sierra LaMar has been missing since March 16, 2012 when she was last seen at about 6 AM leaving her home to go to school at Sobrato High School. There have been several searches for the missing California teen and although investigators have recovered Sierra LaMar’s cell phone and pink “Juicy” brand bag, there have been few clues as to what happened to her. San Francisco 49ers quarterback Alex Smith has reportedly joined the search for a missing California girl who disappeared more than two weeks ago on her way to school. Smith was among 581 volunteers who turned out Saturday to search for 15-year-old Sierra LaMar, of Morgan Hill, Calif., who was last seen March 16, the Contra Costa Times reported. KUDOS to Alex Smith, you are a class act. As reported at the Mercury News, without any PR pomp and circumstance, without making it all about him, Smith dropped off food and water for the search volunteer before joining the search. NICE! If anyone has any information regarding the teenager’s whereabouts, please call the Santa Clara County Sheriff’s Department at 408-299-2311.